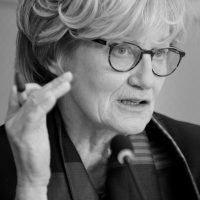 Mady Delvaux-Stehres is a Luxemburgish Socialist MEP. She is vice-chair of the Legal Affairs committee and substitute in the Economic and Monetary Affairs committee. She was rapporteur of the report on Civil Law Rules on Robotics and Chair of the Working Group on Robotics and Artificial Intelligence. Prior to being elected to the European Parliament in 2014, she held various ministerial positions in Luxembourg over the past 20 years. She was notably Minister for Education and Minister of Social Security, Transport, and Communication.